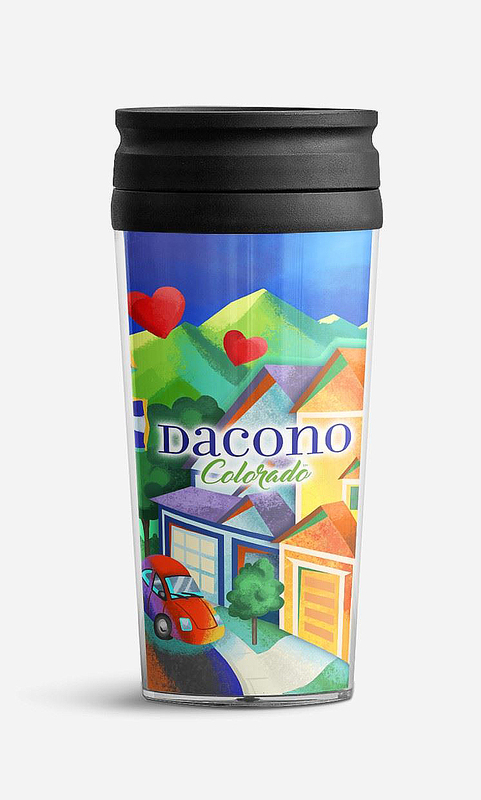 Working with Studio Six Branding, I illustrated this promotional travel mug for the town of Dacono, Colorado. 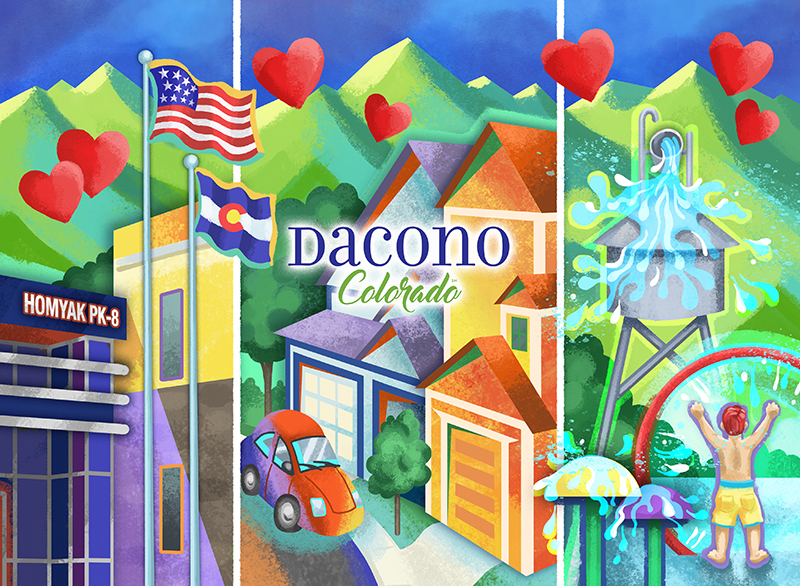 The artwork depicts features of the town in a fun, whimsical style. The Dacono Chamber of Commerce hands these out free to visitors.